I've used the beautiful Sapphire you've provided in the 14k Palladium White Gold layered with Sterling Silver Mokume Gane. 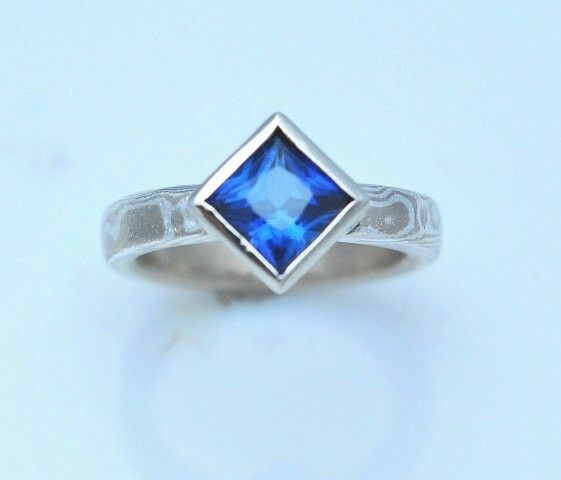 This ring is created with a 14k White gold lining and I've used a full bezel to set your stone and placement at 45 degrees as shown in the third picture in this listing. The Mokume Gane band is 3-3.5mm in width. The size is a 5.